Welcome to our homepage! We are Ronnie Smith and Susanna Love. Together we own and operate Ronnie Smith Kennels (affectionately known as RSK) in northeastern Oklahoma. Our lives are dedicated to bird dog training and we could not imagine it any other way! We have a passion for bird dogs and helping them to reach their full potential is our goal. Our love of bird dogs has shaped our lives. We are students of animal behavior and every day animals teach us something new. We would like to make our experiences and understanding of animals available to you. We offer a wide variety of training services to help owners have more enjoyable experiences with their upland hunting dog. We hold multiple training classes during the year at our Oklahoma facilities. Each fall we gather a group of dogs together for a month of training on wild birds in the northern prairies. Every hunting season (November through February) we can be found guiding hunts and working dogs in Texas. We also hold classes to teach dogs general obedience. Your dog is welcome to join us for any of these training opportunities. Every spring we travel across the US giving weekend bird dog training seminars. 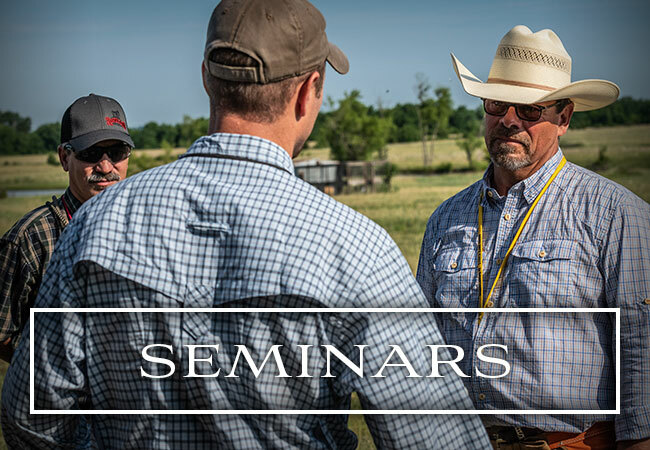 These seminars are a great opportunity to gain hands on instruction on how to train your bird dog. We believe everyone, if given the opportunity, can successfully train their own bird dog. We have a successful training system that will walk you through each step in training your dog. We’d love to see you at a seminar with either Ronnie or Rick! 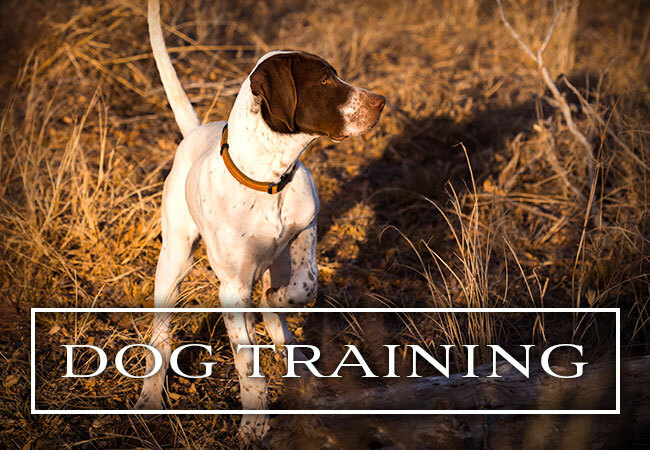 During our training classes, we open our facilities to dog enthusiasts and aspiring dog trainers to help them add to their knowledge of bird dogs and how to successfully train using the Silent Command System. The apprenticeships give an in depth look at our training system. Since this is such an intense program, there are limited spots available for the apprenticeships. The relationship between dog and owner is a special thing. We hope you will give us the opportunity to help you enrich your relationship with your dog.